Teodoro Casana Robles was a student of history, and as he stood in an anteroom of the Chilean presidential palace, the importance of this moment weighed on his shoulders. Relations between Peru and Chile had never been without friction, and in the past seven decades had seen open war on far too many occasions, with his country suffering defeat on nearly every occasion. Too many lives and too much treasure had been expended over the years with nothing but memorials to the dead to show for it. In briefing him before his departure from Lima the President and the Foreign Minister had made it clear – the establishment of sound diplomatic relations with Chile was fundamental to the future of Peru. The Chilean official who was serving as his guide received a whispered word; stood and smiled. “The President will see you now,” he said with genuine warmth. It was but a short walk from the anteroom to the office of President Jorge Castro, and in but a moment he was ushered into it. Casana Robles bowed and proffered the leather bound portfolio containing the documents that appointed him to his position. President Castro received them with an equal bow and quickly reviewed them before responding. “Ambassador Casana Robles,” he began, “I accept your letter of credence from President Odría Amoretti and by affixing my signature”; he paused as he inscribed his name; “and affixing the seal of the Republic of Chile”; he paused again as an aide stamped the documents; “I declare you to be and ambassador extraordinary and plenipotentiary”. With that the two shook hands, and then stood side by side as a photographer snapped several pictures, which would no doubt be spread upon the morning papers of the Chilean capital. The firm Enrique Ferreyros y Compañia has reached an exclusive agency agreement with the Argentine car manufacturer Auto-Union Argentinas S.A. of Santa Rosa to market the latter’s product on the Peruvian market. The news has been greeted with enthusiasm by the public. 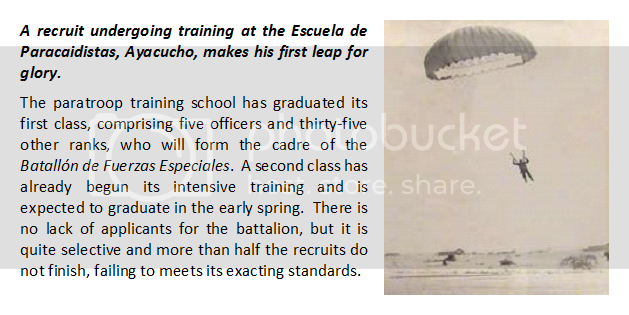 The Ministry of Defense has announced the formation of a corps of parachute troops, the Batallón de Fuerzas Especiales. Training of recruits has begun at the Escuela de Paracaidistas, Ayacucho. A bevy of dignitaries had arrived from Iquitos – and from Lima – to mark this important day in the life of the town of Jenaro Herrera. A law had been signed creating a new district in the province of Requena, and Capitán Manuel Gordon Magne was very pleased that the settlement he had founded was now to be the chief town of its namesake district. What this might mean in practice was anyone’s guess – but for the moment the town was filled with joy. And work continued to progress. A month ago a barge had delivered two small caterpillar tractors – buldócers – which now spearheaded the pushing of roads into the surrounding jungle and cleared the way for the development of plantations. Timber logging had been added to the economic base of the town, with cargos going downriver to Iquitos with returning supply barges. A research station, the Centro de Investigaciones Jenaro Herrera, was planned, to better assess the resources of the district and help draw up long term plans for growth; for Gordon Magne, this was a signal that his time here might be coming to an end. But he could take pride in his accomplishments. The first Argentine-manufactured Auto-Union vehicles have arrived at the port of Callao. Products of Auto-Union Argentinas of Santa Rosa, the panel-van Furgón is expected to find favor with commercial operators and Lima’s leading hire-car firm has already placed orders for a small fleet to serve as small omnibuses in working-class districts in the city. The small sedan is expected to be in high demand among the middle-classes, particularly as the nation’s motor road network expands. 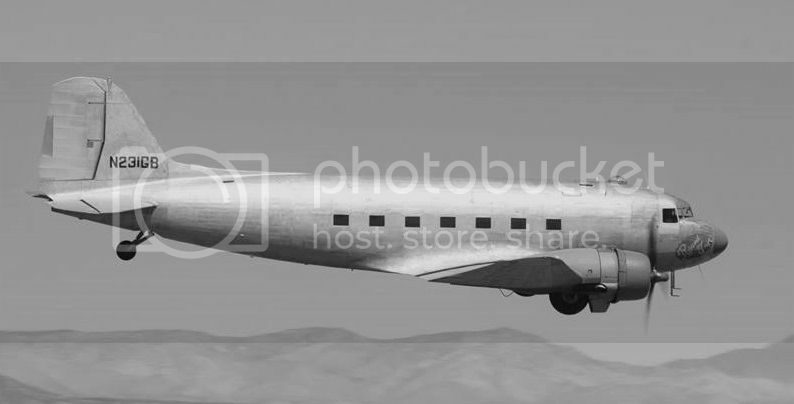 Seen approaching Martínez de Pinillos airport here, this Douglas DC-3 twin engine transport is on its delivery ferry flight from the United States to Lima, were it will become the latest acquisition of AeroPeru. The reviving economy and growth of tourism has led to a substantial fleet expansion by the national carrier, including acquisition of domestically-produced aircraft for local services. Regional and international services still require aircraft of foreign origin, and this veteran Douglas design is destined for long service in the colors of Peruvian operators. Capitán Manuel Gordon Magne called his soldiers to attention; a band played the national anthem; the recently installed civil dignitaries of Jenaro Herrera stood on the reviewing stand improvised atop several wagons. To an outside observer it might appear like something out of an opéra bouffe, yet to the participants it was quite serious. The time had come for Unidad Militar de Asentamiento Rural No.1 to depart the bustling settlement for a new assignment. Huanuire Taricuarima, the mayor of the town, gave a speech, praising the work of Gordon Magne and the soldiers under his command; how they had found squalor in the jungle and made it a light house of civilization. Each citizen, he said, owed a debt of gratitude to the Army. To some, his words bordered on hyperbole, but there was a grain of truth in it. To the music of the band and the cheers of the populace Gordon Magne marched his men to the landing stage, where a waiting steamer would carry them to Iquitos. For the moment, that was all they knew. For the people of the Tres Fronteras, be they Peruvian, Colombian, or Brazilian, the tension simmering beneath the outward signs of peace were never far from their thoughts. When facts did not suffice, rumor stepped in to fill the gap – and the ‘jungle telegraph’ was very effective in transmitting the latter over great distances. Therefore it came as no surprise to the Colombian authorities in Leticia and Tarapaca that word of the latest developments had reached them. The presence of the Peruvian 2ª Brigada de Infantería de Marina at Iquitos was long standing; for the Colombians and the Brazilian neighbors, the Peruvian naval infantry seemed but a garrison. The armed river steamers that had supported Peru’s attempted invasion of Leticia in the last war had been junked years ago, and the thought of troops slogging through the jungle brought laughter to the tongues of those intelligence officers charged with assessing Peruvian means and intentions. The light cruiser Loreto arrived yesterday in Callao to begin a program of modernization at the Servicios Industriales de la Marina shipyards. She follows her sister Cajamarca, which finished a similar refit earlier this year. The Loreto is expected to rejoin the fleet in early May. Among the most interesting formations of the Peruvian Army are the Military Rural Settlement Units, Unidad Militar de Asentamiento Rural. Nearly two dozen of such units have been activated since the fall of 1945, and are presently serving throughout the country, though primarily in the regions of the Upper Amazon and the Altiplano. Their mission is to assist villagers in rural development – organizing schools, working on public sanitation and clean water, constructing roads, and teaching improved agricultural techniques. Our correspondent spent several days with such a unit working in the vicinity of Contamana, a settlement of about a thousand persons in the Ucayali Province of the Loreto Region. They have established a small clinic, staffed by both civilians and military personnel, were daily treatment is given to those who are suffering from injury and ailment. Some of those who visit the clinic come from surrounding villages that still lack access to medical facilities. A small airstrip has been hacked from the jungle and if a case is truly serious the patient can be airlifted to proper hospital facilities in Iquitos, the largest city in the Upper Amazon. 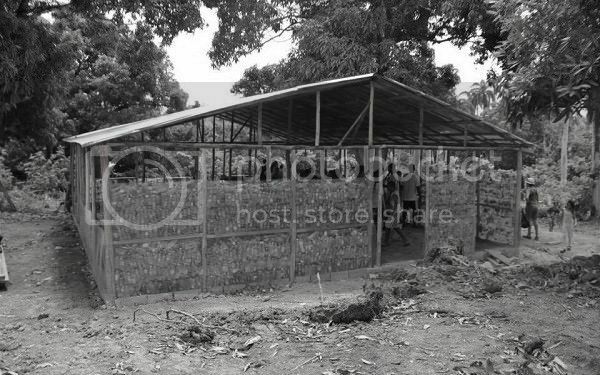 The value of the presence of such a clinic is seen in its ability to treat minor injuries before they become major, in its ability to educate villagers in basic first aid, and as a source for proper medicines. Heretofore the people were limited to folk remedies or the ministrations of semi-pagan witch doctors; now modern science is lifting the veil of superstition from those who once lived in darkness. Commander Trevor Stevens USN had served as naval attaché in Lima for eighteen months; with luck he would be moving on to a new assignment, and today he was spending a quiet Sunday catching up with the week’s newspapers. An item in the Peruvian Times, Lima’s English-language broadsheet, caught his eye – in it mention was made of a visit by a Chinese delegation led by a Mister Huang Xiaoming for talks regarding expanding bilateral trade between China and Peru. It even had a photograph of the delegation, taken upon the occasion of its visit to Peru’s national aircraft factory, Empresa Nacional de Aviación, where, the article explained, they had witnessed demonstration of the Pardusco light transport aircraft and Ponchito twin-engine transport. Stevens examined the photograph intently, as the name Huang Xiaoming rang a bell. On a previous tour of duty in the Far East he had occasion meet a Captain Huang Xiaoming of the Imperial Chinese Navy, and the photograph in the newspaper suggested that they could be one in the same. Of course it was quite possible that Huang had left the naval service and was now representing China in some civil capacity; but knowing China insatiable appetite for acquiring used warships, and recalling how in years past China had done more than a few deals to acquire warships from the Peruvian Navy, his suspicions were aroused. Ambassador William Pawley sat quietly as Commander Stevens briefed him on his suspicions. Stevens half-shrugged. “Peruvian aircraft are designed to operate in ‘hot-and-high’ conditions, similar to those of China’s interior. They would serve well, but that is not what concerns me.” The naval officer then launched into his concerns about the possibility of China seeking to purchase surplus warships from Peru. “Are the Peruvians soliciting offers for any of their ships?” Pawley asked. “So, officially, Peru has no plans to sell any of its ships?” Pawley summarized. The rumors regarding the motor launches to be operated by the Peruvian 2ª Brigada de Infantería de Marina at Iquitos were rumors no longer; the craft had been seen by too many, carrying detachments of naval infantry to river towns along the upper reaches of the Peruvian Amazon. Though many of the touts that passed for agents in the region credited to the lanchas de desembarco de Infanteria far greater capabilities than warranted, officials in Brazil and Colombia were none the less interested, though for different reasons. For Colombia, fears of renewed Peruvian expansionism were stoked by their appearance, despite the reassurances of the Peruvian authorities in Iquitos and in Lima. Brazil, however, availed itself of the offer made to both nations to inspect the craft already in the water, and the additional craft under construction. Capitão de corveta Jarbas Passarinho of the Marinha had made the journey upriver from Manaus to visit the base of the 2ª Brigada and examined the launches in question, reporting favorably on them, and urging the construction of similar vessels for his own service, where he felt they would be most useful. OOC: Colombia, had it actually received the offer to inspect the craft, would also have taken the Peruvians up on the offer. Sorry about that Wes... I'll be more careful in the future. The cruiser Loreto returns to duty today after trials and training following her recent refit. She follows in the footsteps of her sister Cajamarca, which was refitted in January. The Ministry of Defense has announced that the cruisers Ancash and Amazonas will be refitted in like manner over the coming months. Meanwhile work continues on the modernization of the heavy cruiser Callao, which is expected to complete its refit at the end of this month. Commander Stevens stormed into the ambassador’s office without the slightest hesitation; advancing across the office he slapped the still-damp issue of Diario Oficial El Peruano on Pawley’s desk and exclaimed. “Done what Commander?” the ambassador replied with obvious displeasure. He was not used to having naval officers storm into his office unannounced. While news of the sale of no fewer than sixteen warships to the Chinese Empire still reverberates, the Peruvian Navy marked the completion of its newest frigate, the Prado, at Callao shipyards. She is scheduled to undergo builders’ trials in the next fortnight and then commence operational training. She is preceded in this by her sister-ship, the Canseco, which only yesterday completed its training period. Our correspondents in the capital report that the heavy cruiser Callao has completed its refit and modernization. She will now undergo a period of trials and training, which, it is hoped, will include a cruise and port call to our fair city.